We are often contacted by potential clients looking to for the best window dressing for their new or existing loft conversion. 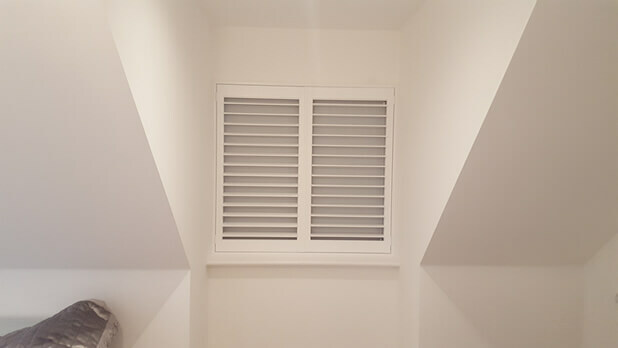 The windows found in lofts are one of the trickier locations to work with when it comes to standard window solutions, but with our bespoke shutters we can perfectly craft the shutters to fit perfectly to any shape or angle of window opening or recess. Many homeowners and families create loft conversions as a way of creating more space in the home without having to move or extend. 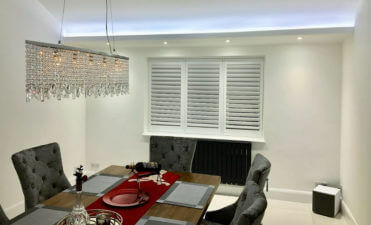 The space is great for spare rooms, bedrooms, offices and whatever else may be needed, but with this comes the challenge of making sure that lighting and privacy is taken care of when the conversion is complete. 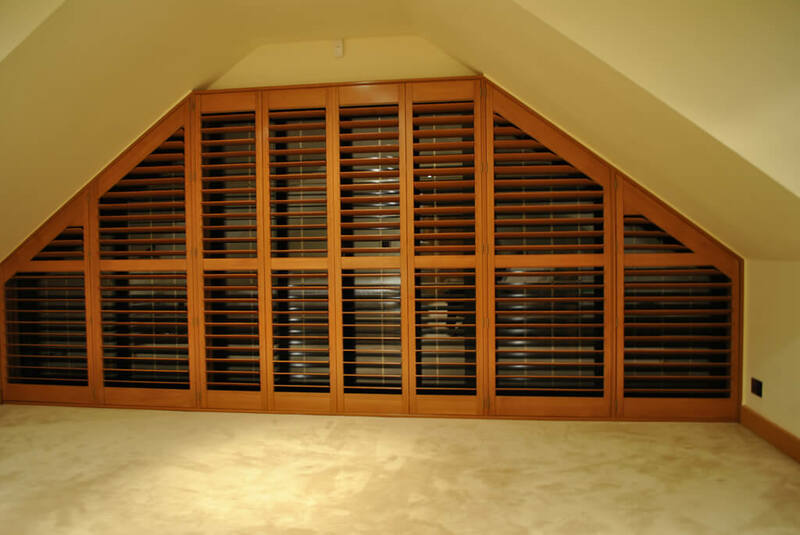 Loft conversions can be host to a wide range of different styles of windows, but relax knowing that whichever style you have, our custom made shutters can be made to fit and work just as you require them! 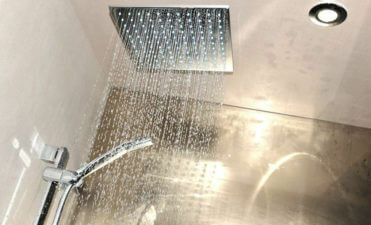 With skylight installations we use magnets so that the shutters will stay closed and the louvres can be operated. 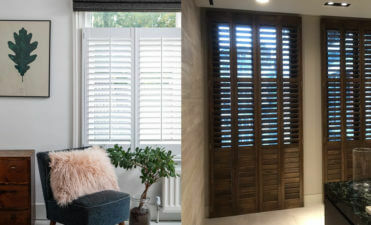 All our shutters are bespoke made to order and because of this they are fitted with millimetre accuracy, allowing for a beautiful look and the perfect mixture of lighting and privacy when required. 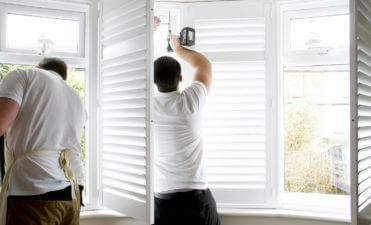 We often work with custom shaped windows and windows with awkward angles, so even if you have a window which is not rectangular or square, that is also perfectly workable for our team. Using blinds and hanging curtains with special poles not only doesn’t look great, but there is more light seepage around the edges and also no real adjustment of light and privacy as with shutters. 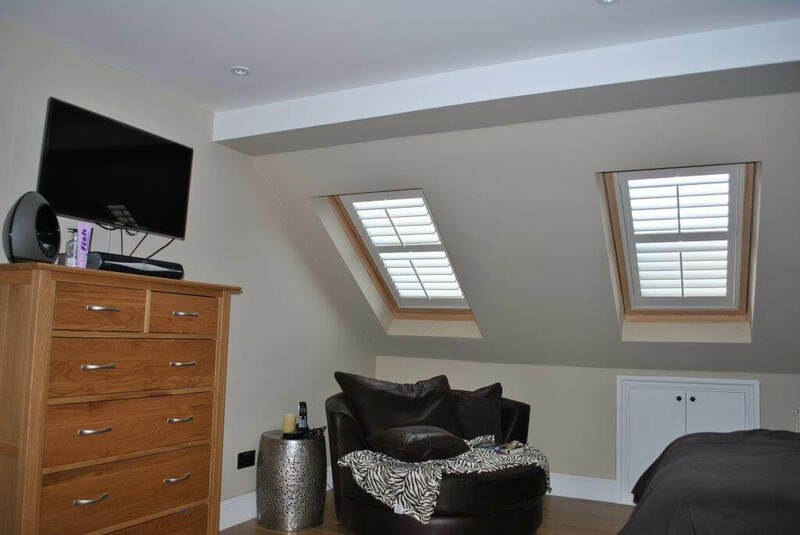 You will never achieve a perfect fit and adjusting can end up with a room with way to much light or dingy darkness, which in turn makes the loft conversion less of an inviting room to be in. 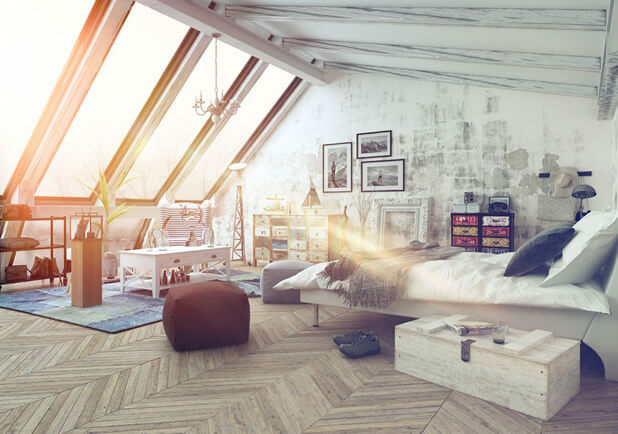 With skylights and windows at roof angles you are also far more susceptible to direct sunlight on the hottest and brightest of days, making it even more important to be able to shelter the room and yourself from the direct glare. 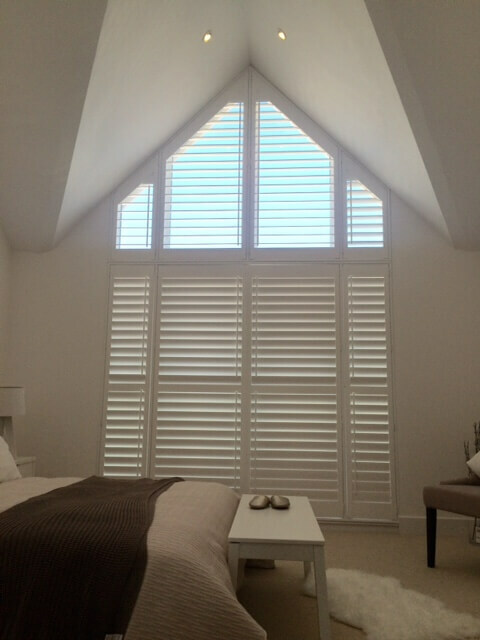 Our shutters work wonders throughout the year. In the winter they are great for the loft rooms insulation and in summer help regulate air flow and keep this room at the top of the house cool. If you have a loft conversion and would like more information on our service then please do not hesitate to contact one of our friendly staff!